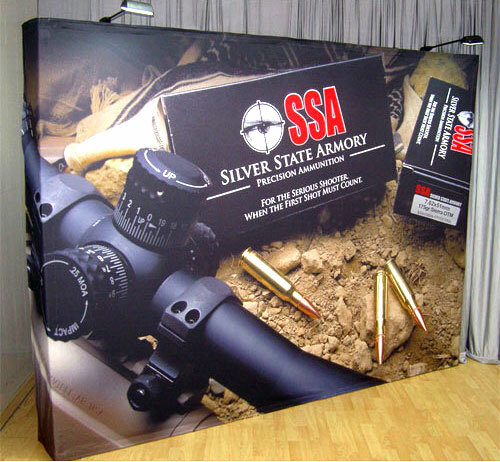 When decorating your expo booth, sometimes simple is the way to go. 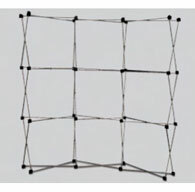 There is a certain elegance to simplicity. 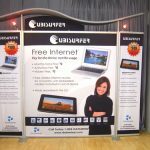 It highlights the importance of the message you are displaying and directs your audience’s attention to that message without any chance for distractions. 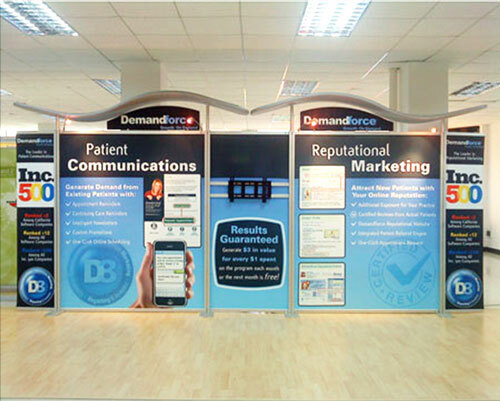 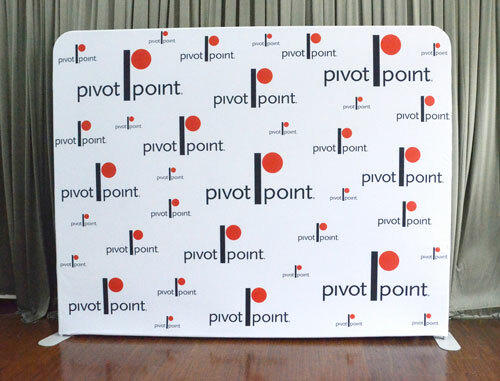 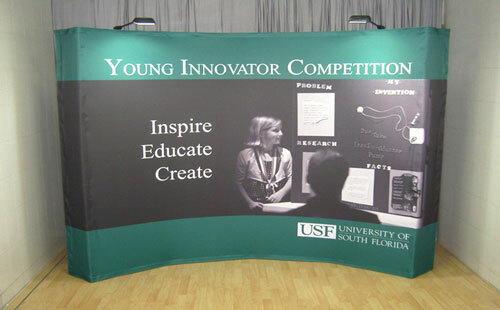 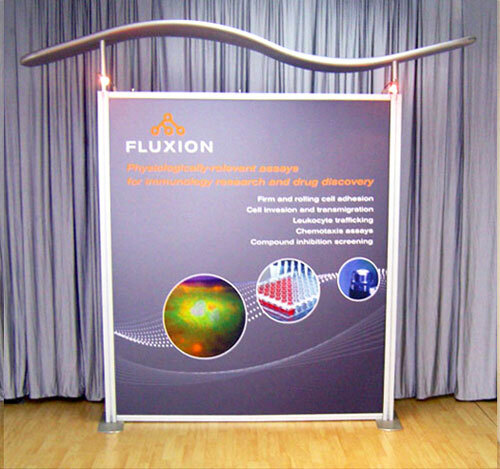 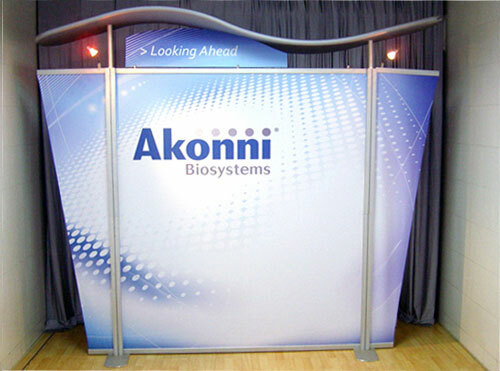 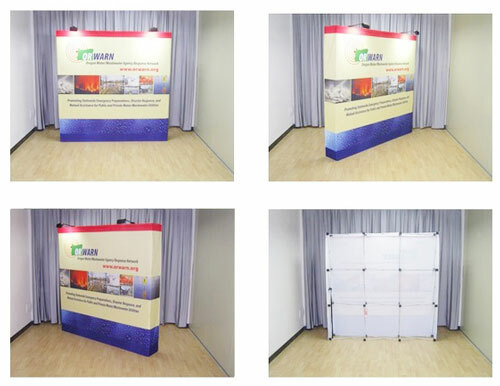 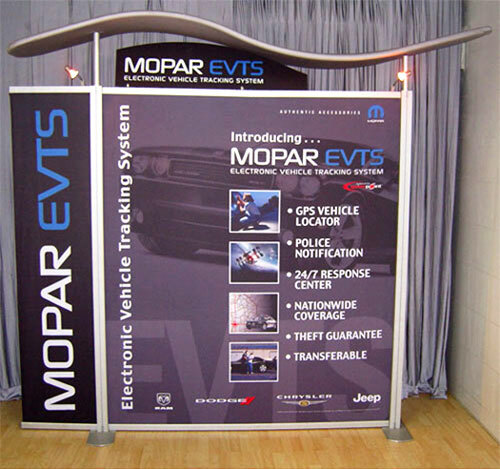 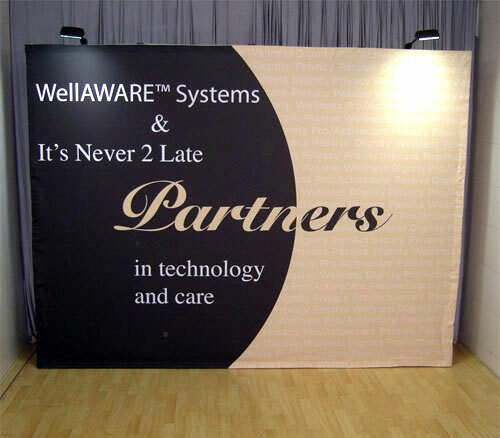 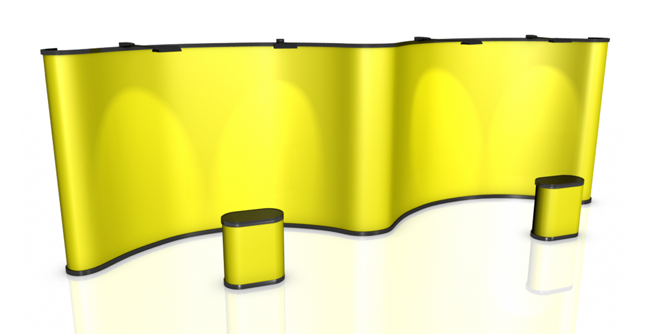 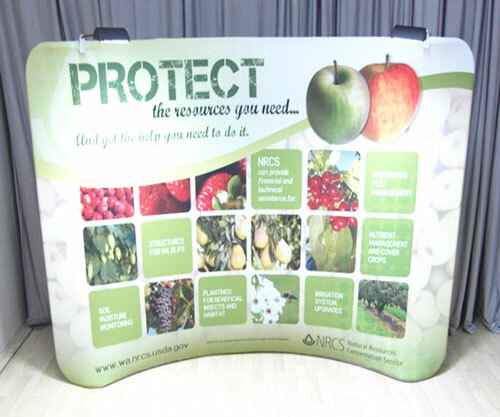 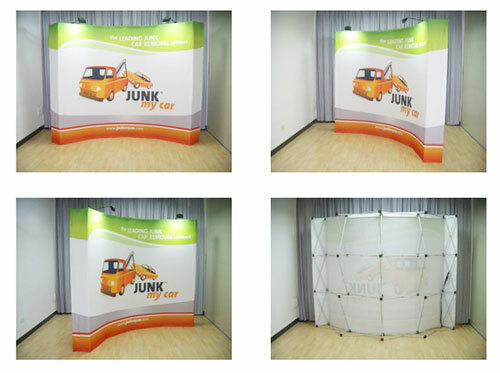 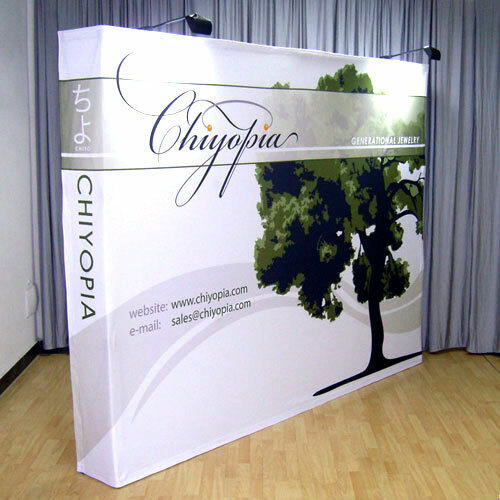 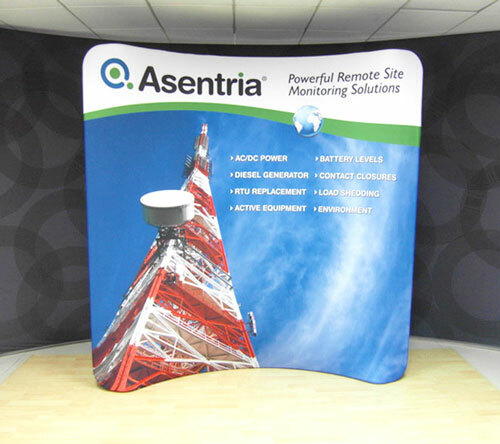 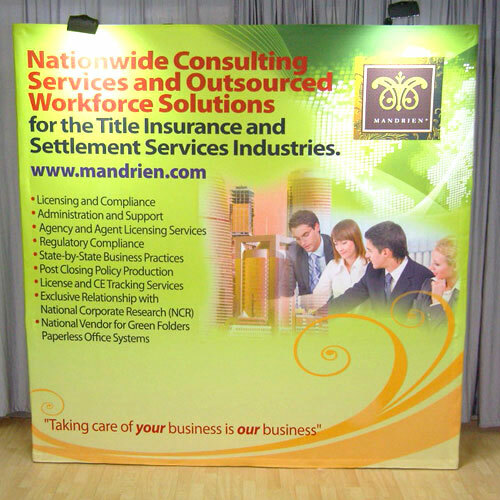 We have simple but powerful trade show ideas for your booth, and one of them is our 20ft straight pop-up wall. 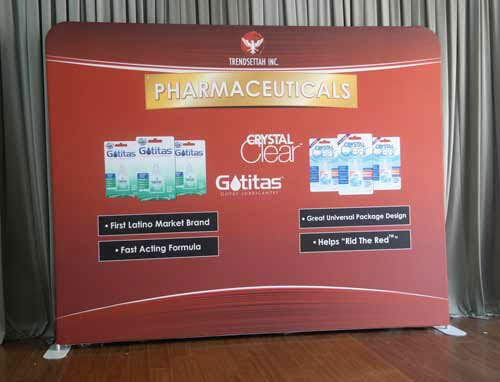 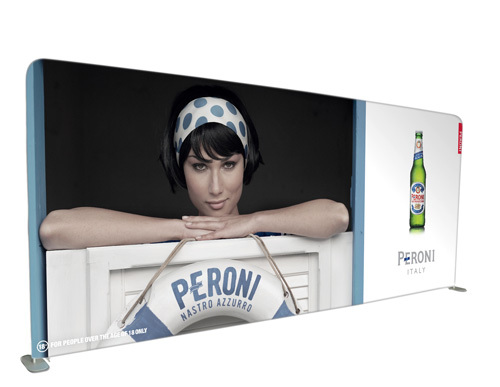 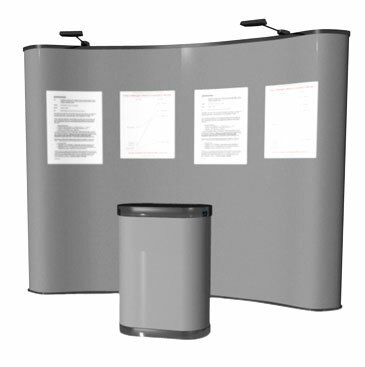 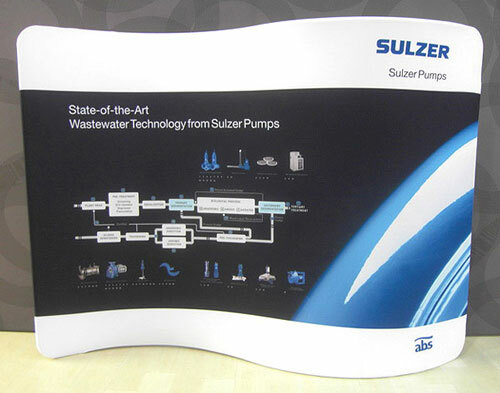 Our 20ft straight pop up display is a symphony of simplicity. 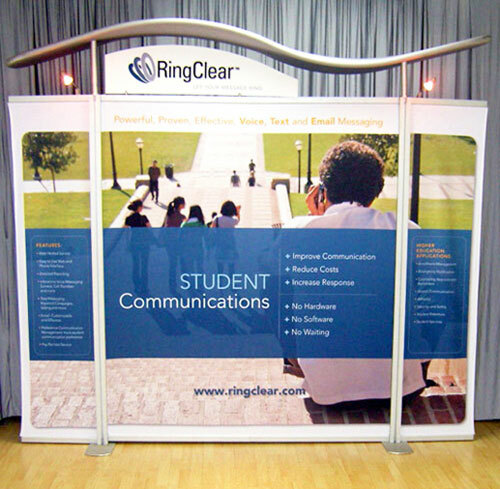 The clean lines of its straight frames make for a great backdrop for your expo booth. 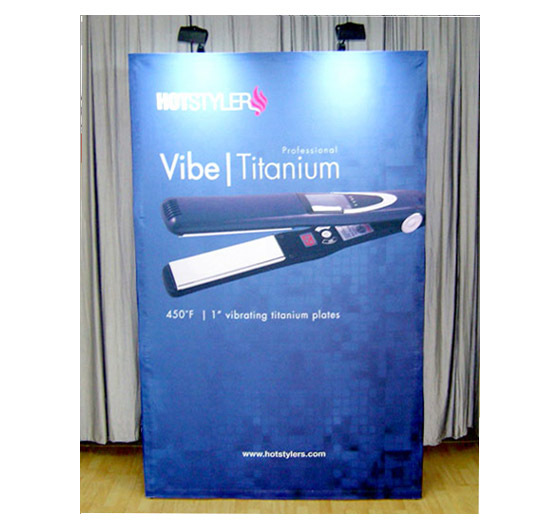 It photographs beautifully, without any problems with flash flares or join lines. 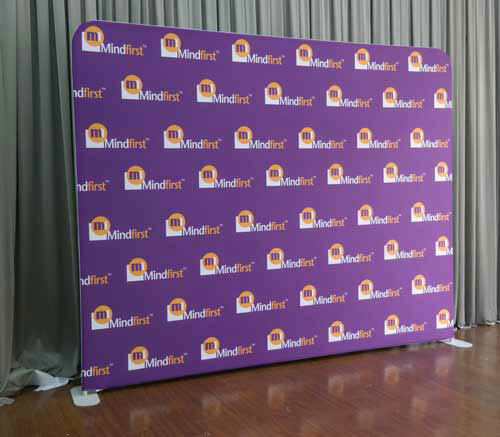 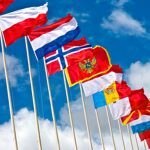 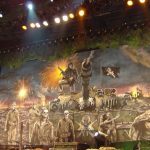 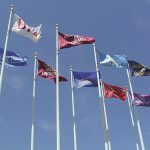 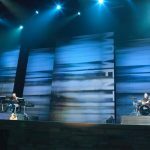 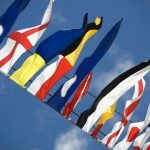 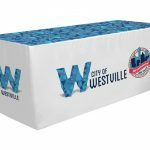 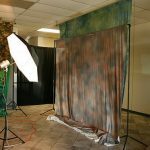 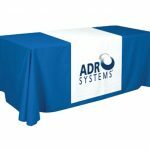 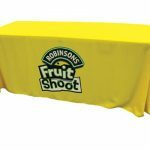 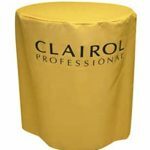 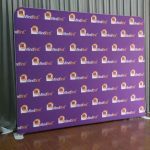 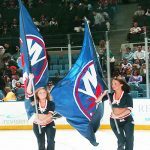 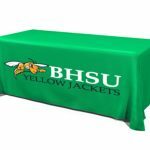 Moreover, you can use it outside of trade shows or expos – as red carpet backdrops, for instance, or backdrops for corporate events, school dances, award ceremonies, press conferences, weddings, theatrical presentations, among others. 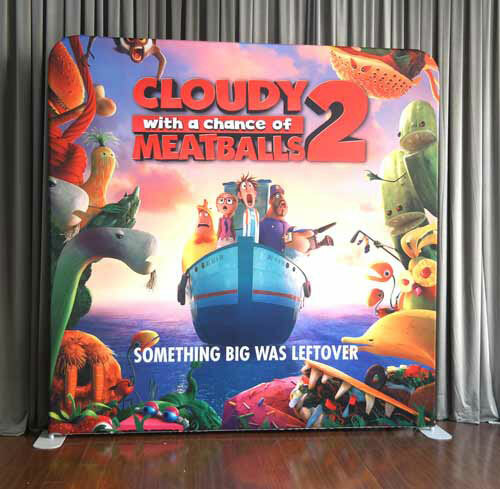 This pop-up banner is big. 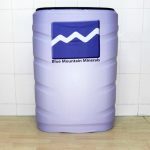 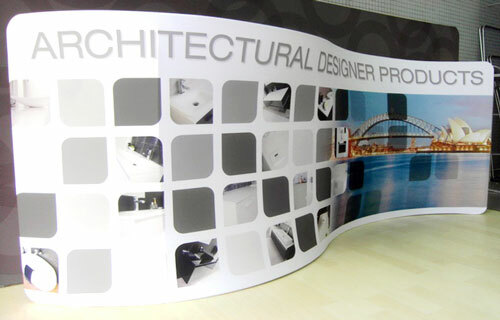 Its dimensions are 5600mm/W x 260mm/D x 2310mm/H. 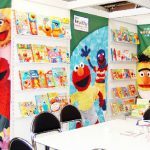 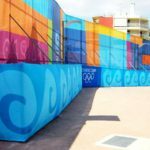 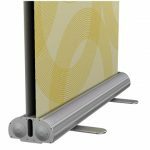 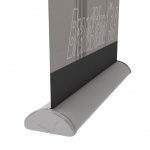 It consists of two straight aluminium frames and a set of nine full-colour and high-quality graphic panels – it’s your choice whether these panels are fabric or laminated PVC. 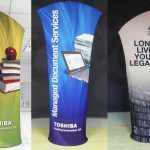 Whatever material you choose, though, you can be sure that the printed images will be vivid in colour and clear in details, as we only use the best in wide-format and fabric printing technologies available in the market today. 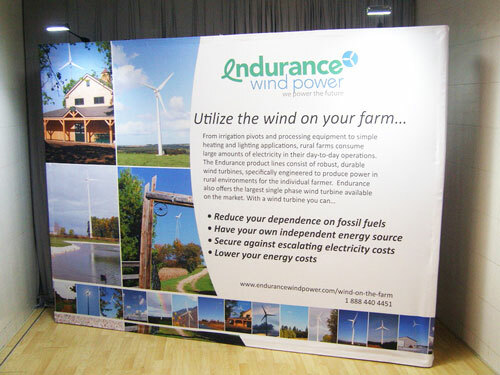 The graphic panels are single-sided by default, but you can also order a double-sided display for maximum impact. 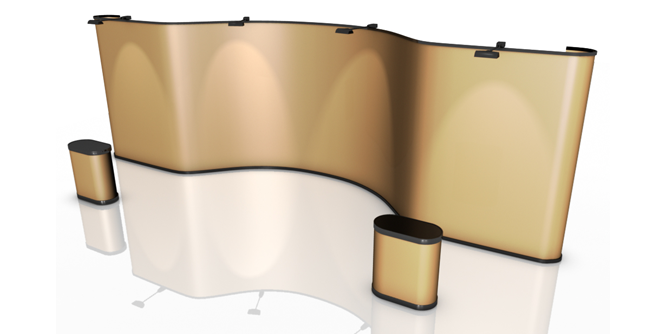 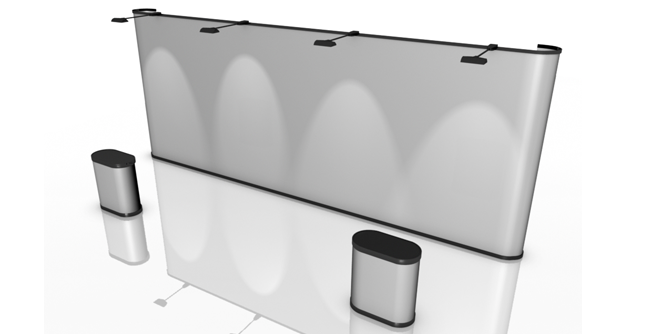 Double-sided displays are especially powerful when your pop-up wall is to be placed in a location where your audience will have a 360-degree view. 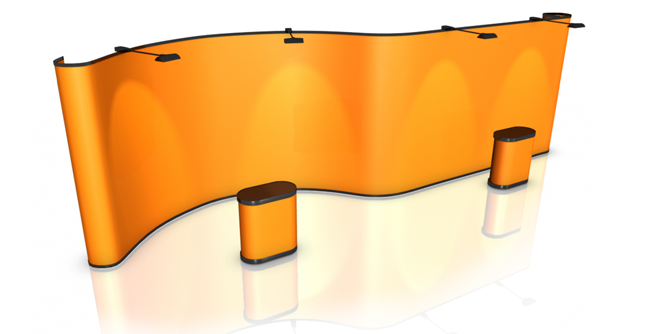 Complementing these frames are four halogen spotlights and a pair of counters. 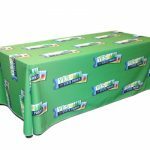 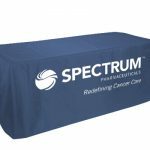 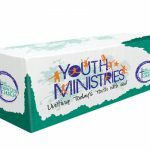 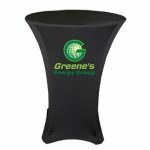 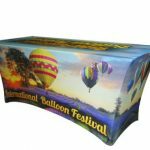 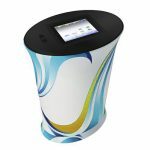 Each of these counters has its own wooden tabletop and a graphic or fabric wrap matching your panels to serve as a workspace for your display or for holding pamphlets and other exhibition paraphernalia. 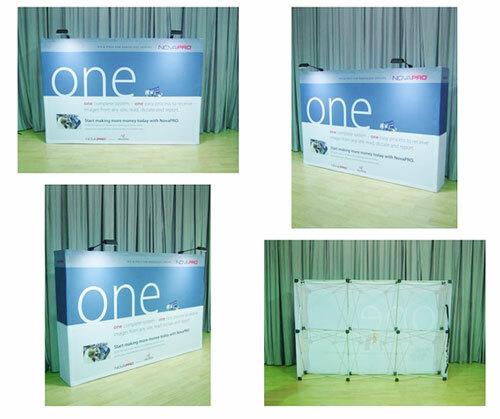 These counters are wheeled – they also serve as carrying cases for your display. 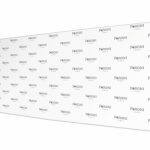 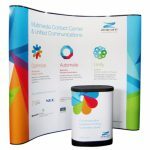 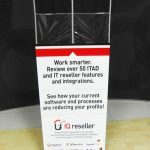 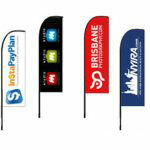 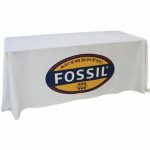 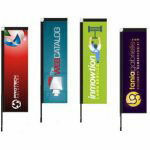 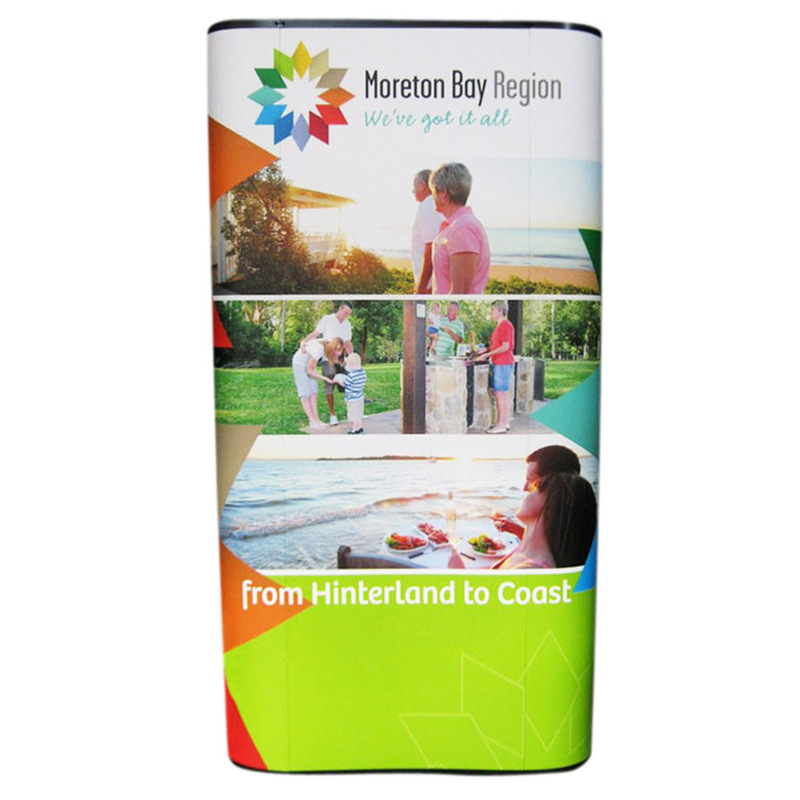 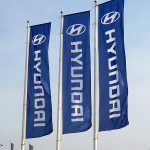 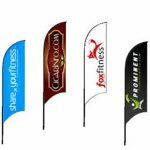 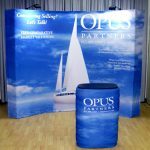 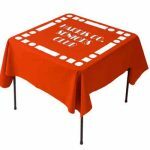 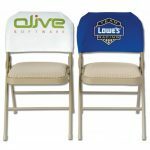 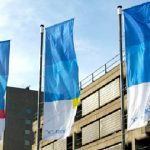 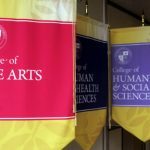 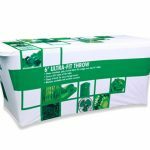 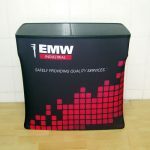 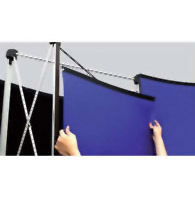 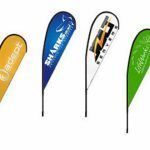 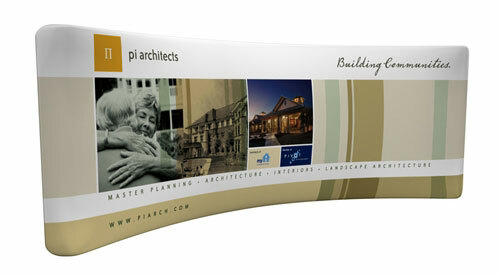 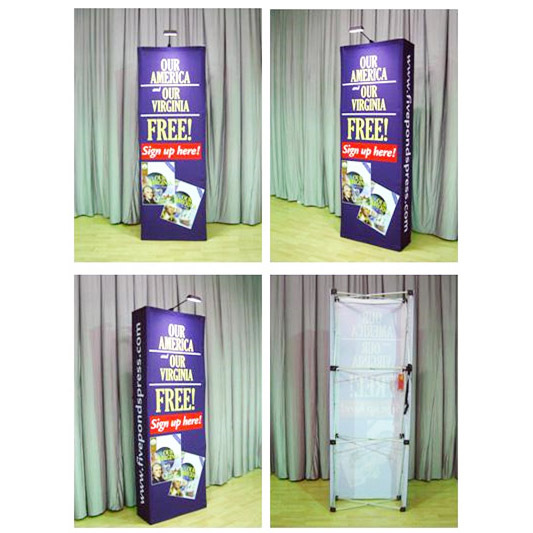 This makes your pop-up banner portable; you can take them from one place to another without much of a fuss. 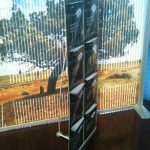 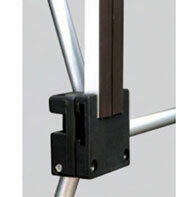 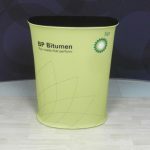 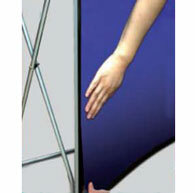 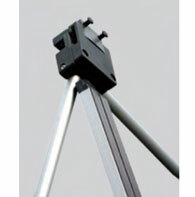 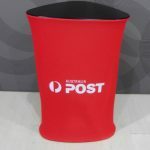 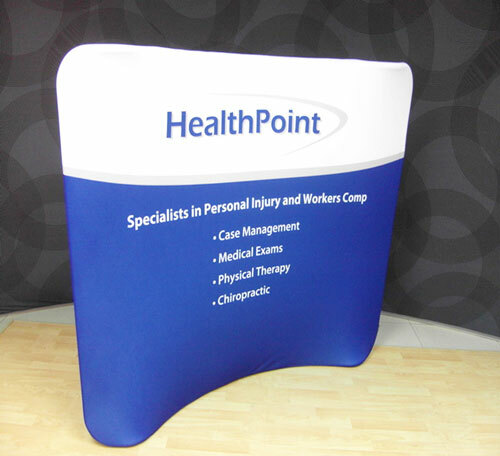 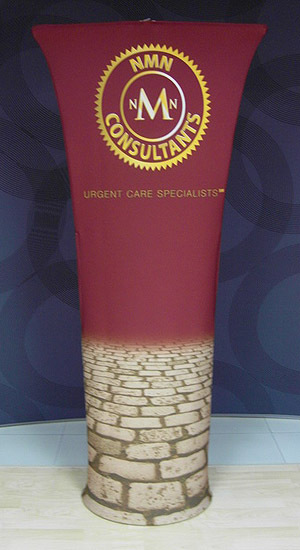 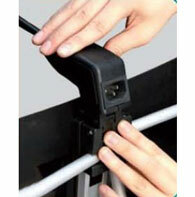 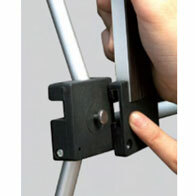 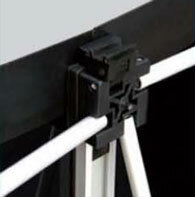 Another item on the plus column for our 20ft straight pop up display is it is very easy to assemble. 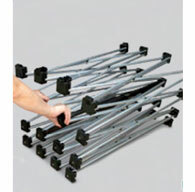 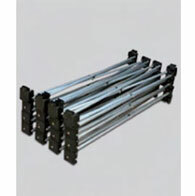 Simply stretch out each frame to its full height and width, and place these frames side by side. 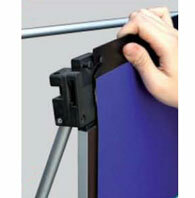 Then you attach magnetic strips to the frame. 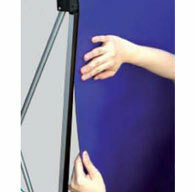 Afterwards, you stick the fabric or PVC panels onto the frame using their built-in magnetic strips. 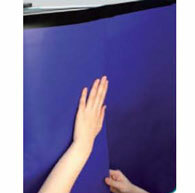 They will look smooth and seamless once attached. 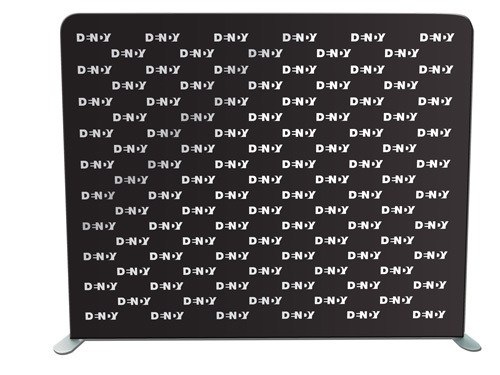 As for the counters, you only have to pull the graphic wrap over the carry case so it covers the entire body of the case. 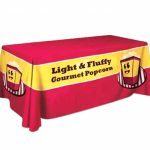 Then you place the countertop over it. 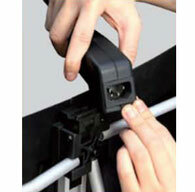 It will only take you 15 minutes to complete the assembly. 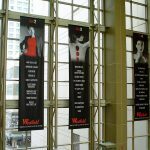 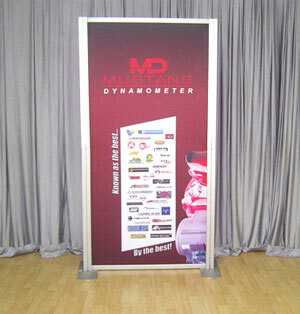 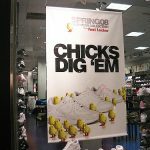 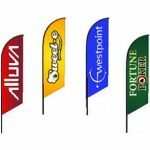 The biggest advantage you will get from this banner display is it will save you money. 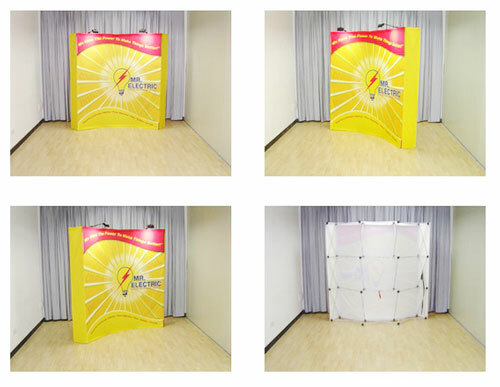 Purchasing this 20ft straight pop up wall is like buying three products for the price of one. 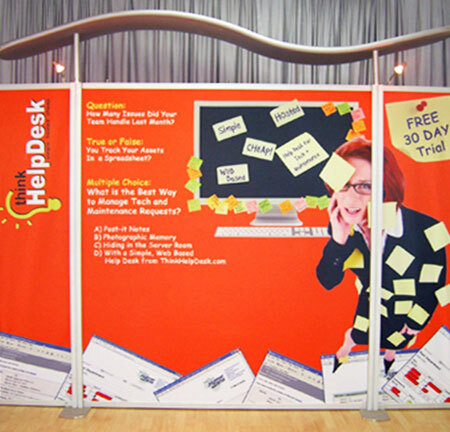 That is because you can break up this big display into two smaller and separate pop-up walls. 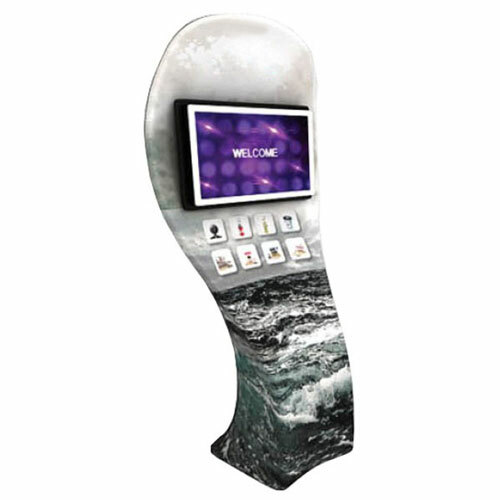 Thus, you can mix and match them with other displays when you have a lot of available space. 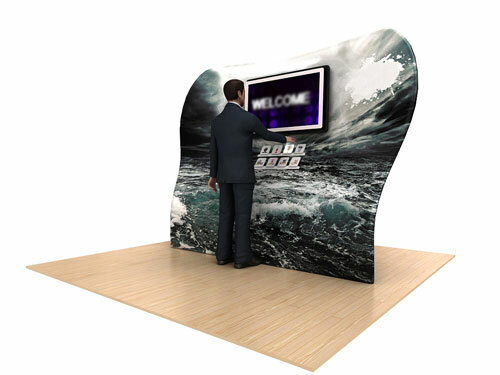 On the other hand, you can break them down if space is going to be an issue in your exhibition booth. 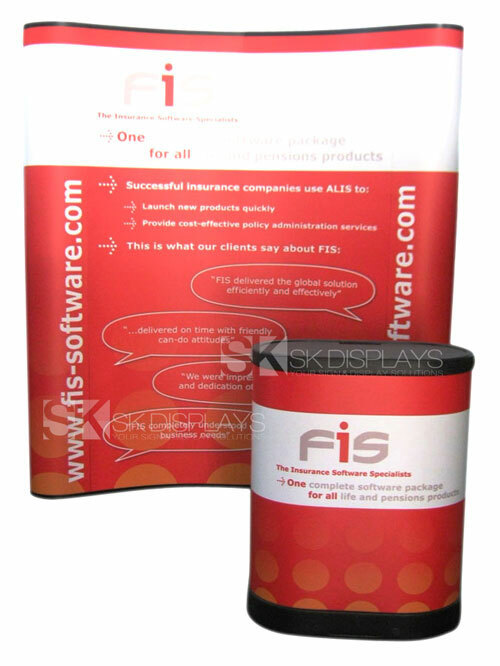 This allows you to be more flexible and more creative in setting up your displays. 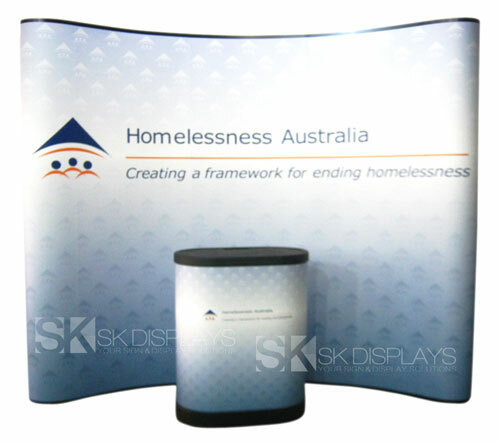 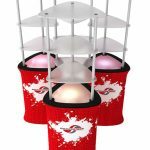 More importantly, you can reuse these displays as often as you want, at any event or venue you choose. 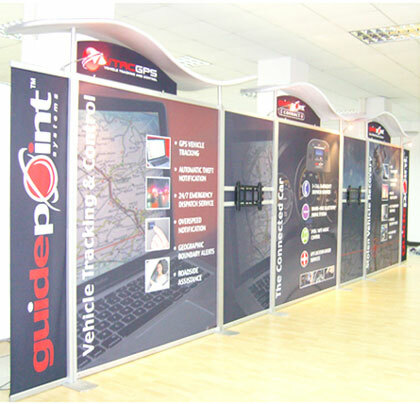 You will get a lot of mileage from these displays. 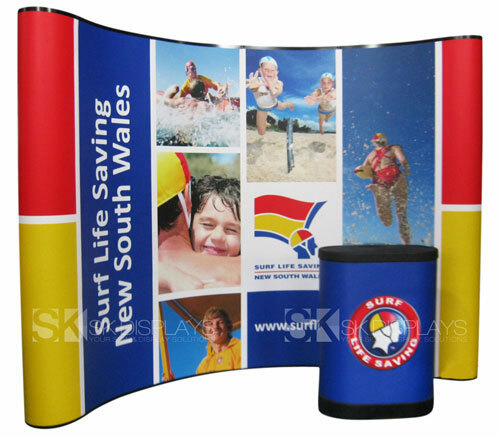 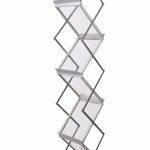 If you need a new and fresher look on your displays, you don’t need to order an entirely new set. 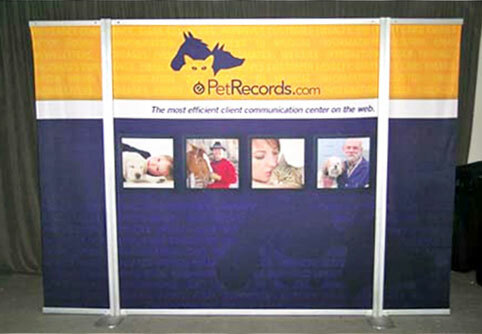 Just keep the frame and order replacement graphic or fabric panels as needed. 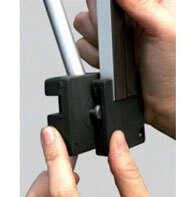 Doing so will save you more money. 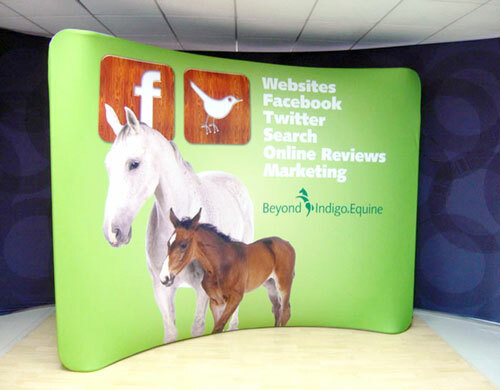 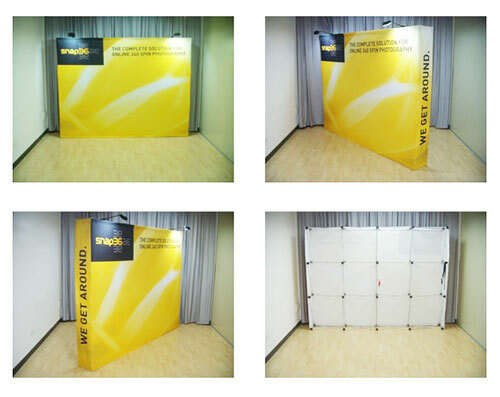 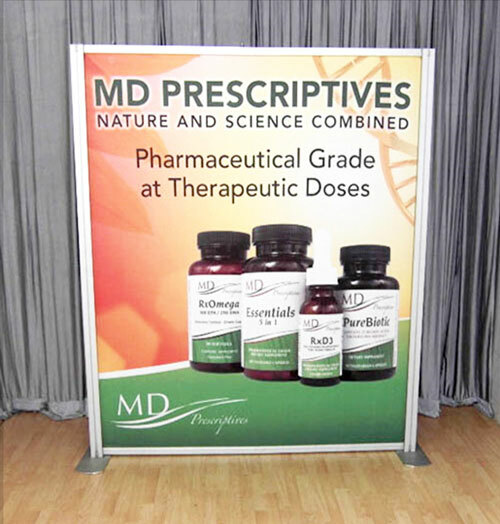 Our 20ft straight pop-up wall is truly the best expo booth display you will ever find in the market today. 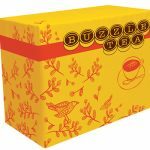 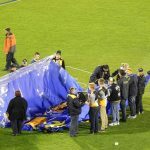 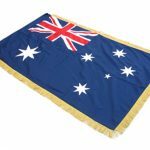 We deliver these products to Sydney, Melbourne, Perth, Canberra, Darwin, Adelaide, Brisbane, Gold Coast, and any other location in Australia. 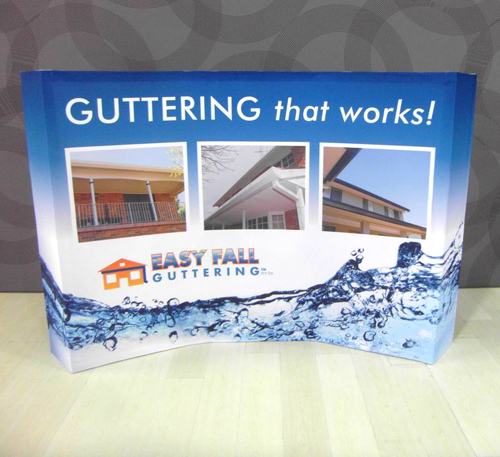 Call us today to find out how this product can benefit you.